The basis for this new translation is the inspired Word of God, originally written and canonized by God’s chosen servants in the Hebrew and Greek languages. God the Father and Jesus Christ have jealously guarded the Word of God so it would never be lost or destroyed. Jesus promised He would uphold His words: “The heaven and the earth shall pass away, but My words shall never pass away” (Matt. 24:35). In every respect, this translation has been an endeavor to uphold the true teachings of the Word of God—and to present the Holy Scriptures in their original, God-inspired order. While no translation is flawless, this translation far surpasses the standards of many recent English translations and has indeed fulfilled the requirements for a faithful translation. 5) The careful insertion of words (in italics) to clarify the meaning. This Second Edition of The Holy Bible In Its Original Order includes a vital 25-page addition to its appendices—“Understanding Paul’s Difficult Scriptures Concerning the Law and Commandments of God” (Appendix Z). While some of the apostle Paul’s writings are admittedly difficult, widespread misinterpretations of his writings by theologians and teachers have spawned centuries of confusion—especially in Protestantism. Indeed, numerous misplaced assumptions have unfortunately led to a greatly distorted view of God’s Law. Critical New Testament passages are systematically examined in Appendix Z, showing their correct meaning as originally intended by Paul. As with all first editions of publications, there are inadvertent errors. In this Second Edition, the unintentional miscues and typographical errors have been corrected. In addition, approximately 1200 Old Testament passages have been brought into sharper focus, giving some a more literal reading. (While that may seem like a great number, it is less than half of one percent of all the verses in the Old Testament.) In the First Edition, for example, Psalm 12:8 reads, “The wicked walk on every side when the vilest of them is exalted among the sons of men.” In the Second Edition, the verse has been modified to read, “The wicked walk on every side when vileness is exalted among the sons of men.” In all of the passages that have been clarified, their essential meaning remains the same as in the First Edition. The additional appendix and the adjustments to the scriptural texts warrant calling this printing a “Second Edition.” In all other aspects, this Second Edition of The Holy Bible In Its Original Order is identical to the First Edition published in 2008. This translation is not the work of any committee. Typically, translation committees have demonstrated that they are more interested in carnal-minded, special interest groups—who desire to make the Bible conform to a particular political, sexist or ecumenical religious agenda—than in accurately translating the Word of God. Moreover, they frequently corrupt the Word of God by using common street language and superimposing a gender-neutral language on the Scriptures in an effort to please radical feminists and homosexuals. In summary, they have allowed societal mores to determine how they should present their translations; in effect, they have allowed the community to “frame” the Word of God. The obligation of any translator of the Scriptures is to present to the reader a faithful translation of the God-breathed words—precisely as God moved His faithful servants to write and canonize them. Thus, the philosophy underlying this translation—The Holy Bible In Its Original Order—is a return to translating the Word of God faithfully from the Hebrew and Greek into English. 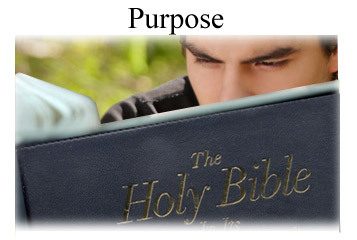 The goal of this version is: 1) To seek the truth and best represent the original texts’ meaning in English; 2) To convey the Word of God as accurately as possible with the same divine character that is conveyed in the original; 3) To recapture the original teachings of the Old Testament writers and the doctrines of Jesus Christ that the apostles taught the primitive Church as recorded in the New Testament; and 4) To cherish and uphold every “jot and tittle” of the Old Testament writers and of the apostles of Jesus Christ—so that, today, true believers may know how to live by every Word of God in a personal, intimate relationship with God the Father and Jesus Christ. Ultimately, the Word of God is a call to repentance—a call to return to the true faith of Jesus Christ as taught by the original apostles and written in the original God-breathed Scriptures. In his short Epistle to the followers of Jesus Christ, the apostle Jude wrote a most impassioned plea for true believers to return to the faith once delivered. When Jude wrote his urgent message, the apostolic age was coming to a close, a great apostasy was gaining momentum, and false apostles and ministers were leading Christians astray. Likewise, in our day, false teachers and pseudo-scholars are again busily seeking to undermine the Word of God and destroy the faith of true Christians. Jude wrote: “I was compelled to write to you, exhorting you to fervently fight for the faith, which once for all time has been delivered to the saints” (Jude 3-4). May God the Father and Jesus Christ bless you with a humble heart, a contrite spirit, and a deep hunger and thirst for righteousness and eternal salvation.